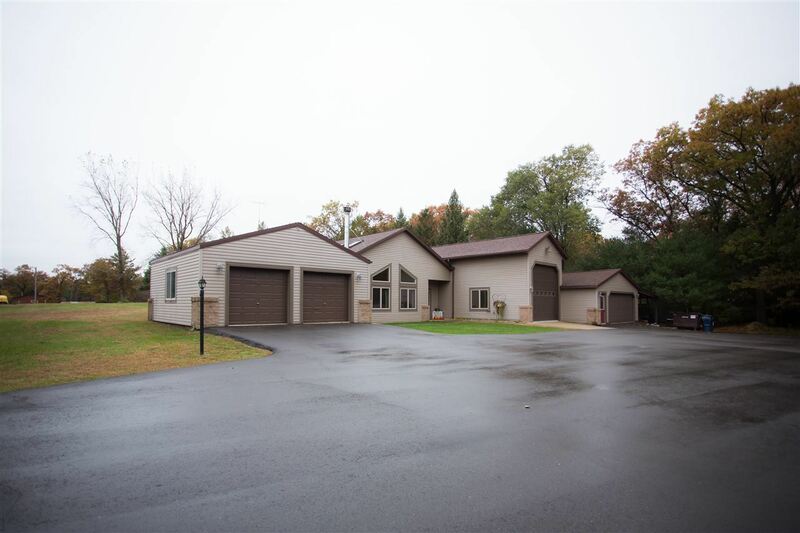 Quality & Craftsmanship describe this Meticulously maintained property a few miles from town! Features include: open concept kitchen, dining & great room with in floor heat, beautiful stone wood burning fireplace, spacious master suite, additional family & study rooms. Newer updates: roof, siding, windows, furnace, central air, driveway and so much more! You will never run out of storage space with the 1 car attached garage 16x42, with in floor heat 14' ceiling & 12' door, attached 2 car 24x24, detached 2 car 24x24, lean 2 16x30, large covered deck. This is a must see-move in ready! Call today! Directions: State Rd 13 South Of Town, On Corner Of 13 And County Rd F.
Items Included: Stove, Refrigerator, Microwave, Dishwasher, Refrigerator In Garage, Window Treatments.